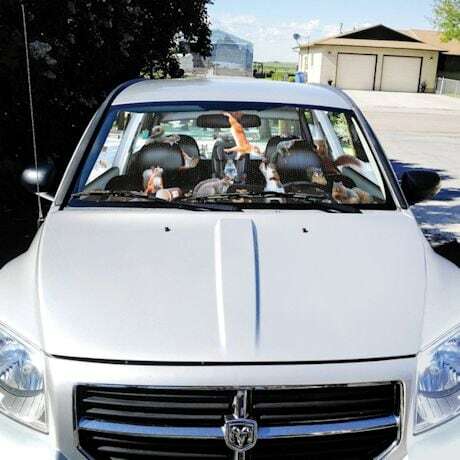 This hilarious sunshade offers a realistic view of a car interior being decimated by out-of-control rodents, plus keeps your auto cool and blocks damaging UV rays. 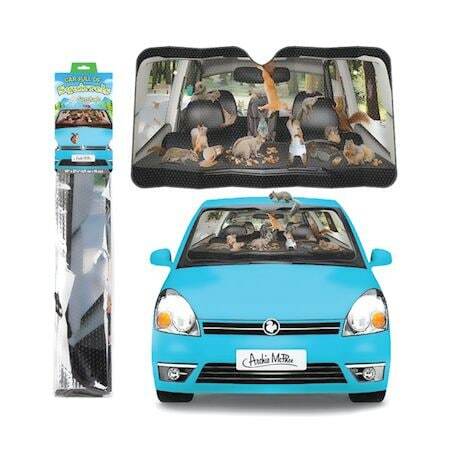 Includes 2 suction cups to hold it in place. Metalized polyester laminate. 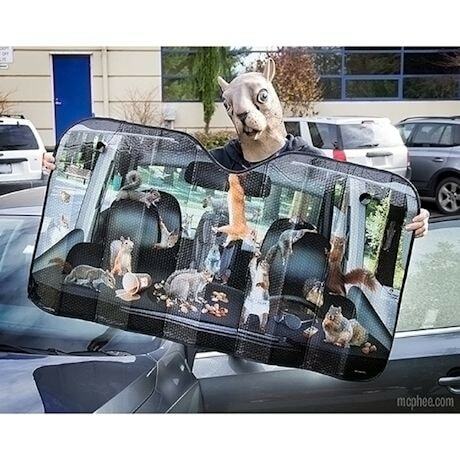 50" x 27½"; fits most standard-size windshields.